September is here, and this means one thing for the gamer – loads of new releases! With some of the biggest new Games releases of the year out in in the next six weeks, it’s only right that we send a highlight of the biggest and best titles, and the great prices and offers we have on site at zavvi.com. Plus, see below for some great affiliate incentives – including commission increases, and vouchers to spend on site for star performers. If you can offer any strong extra exposure for any of our offers, we can look at providing commission increases to really make the most of the strong sales. Don’t forget about our Pre-order Price Promise. Order a product with us today and if we reduce the price between taking your order and the release date, we will charge you the lower price! Remember, you can get 5% off first time orders with the code ZV4189879 – this included pre-orders! Enter the code in the referral box when you set up a new account. The affiliate who sends across the best example of exposure of this release will earn a +2% CPA increase on Games for one week. Please send examples over by Friday 20th September. 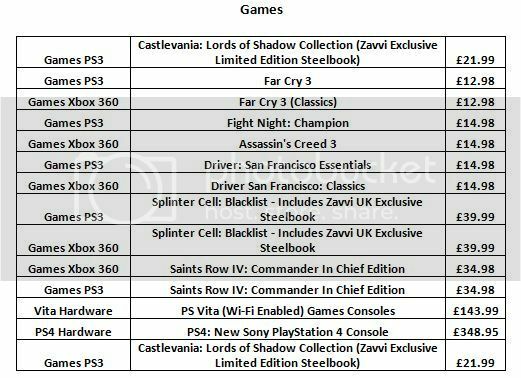 Any affiliate who generates more than 50 sales of this titles in September, will be entered into a draw to win a £50 zavvi voucher. The winner will be contacted on 1st October. 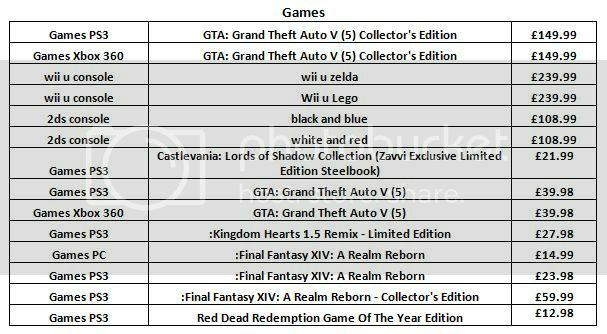 The affiliate who sends across the best example of exposure of this release will earn a +2% CPA increase on Games for one week. Please send examples over by Monday 30th September. Myprotein: 15% off starting at 8am, discount reduced by 1% each hour! I just wanted to give you a heads up on a one-day special that Myprotein is running tomorrow which we’d love for you to promote. 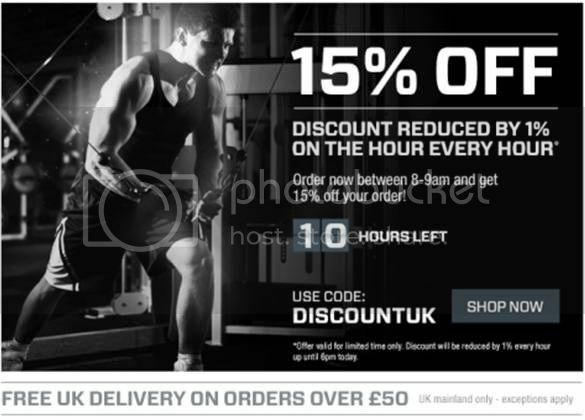 If your audience order from Myprotein.com between 8 - 8.59am they will receive a 15% discount on their order, however, with each passing hour the discount is reduced by 1%. After 6pm, the discount will stand at 5% off and will remain at 5% until midnight tomorrow. As always, we wish to thank you for your support and if you require anything else, please don't hesitate to get in touch. Welcome to the probikekit.co.uk newsletter packed full of affiliate exclusives and great on-site offers. For any more information, to discuss ideas and opportunities then please get in touch – rewards available! The World’s End is now available to pre-order, including the limited edition steelbook! Into your retro or cult film and TV? Save an extra 10% off top titles such as Twin Peaks, Minder, Terrahawks and Love Thy Neighbour for a limited time only! Get 2 sets of 2 pack Boxer Shorts for just £15 for a limited time only! Do you want to sample and review some world exclusive Protein Bars from Myprotein? Let us know your promotional ideas to be in with a chance! Are you interested in supporting Myvitamins? Get in touch and receive an exclusive offer for both Myvitamins and Myprotein – please see bottom of newsletter for further details. Have you seen our Price Beater? We guarantee to have the UK’s lowest prices, but if you find a similar product cheaper elsewhere we’ll beat it by 5%. Now that’s a Myprotein Promise!! If you are interested in promoting Myvitamins please follow the link below for further information or email Stuart.Owen@thehutgroup.com. Up to 20% off at IWOOT! Please see below for this week’s new IWOOT offers. Loads of hot new discount codes in time for the bank holiday. Let me know if you would like any more information, or would like to get involved in any increased exposure. Take advantage of BIG savings and small prices. Pro Bike Kit Fantasy Football League – Last Day before the season kicks off! ProBikeKit will be running a Fantasy Football League (http://fantasy.premierleague.com) this season for all our affiliates. This will be a great chance for you to test your Football knowledge and fantasy manager skills against other affiliates, as well as the Pro Bike Kit team and Affiliate Managers, there is great opportunity to win some top quality prizes for free. 1st Place at the of the season offers the following: PBK training pack, containing PBK Team Kit Jersey, PBK Waterproof Jacket, Box of MyProtein Energy Gels, PBK Bottle, PBK Waterproof Pouch; as well as 2% increase in commissions for 2 months! Please contact James.hardwick@thehutgroup.com, Lucinda.lamb@thehutgroup.com and/or Stuart.owen@thehutgroup.com for further details and the code to enter the league. Further to this we have another exciting offer available with our sister brand – Thehut.com. Add your choice of boxers and FIFA to the basket, and the discount will be automatically applied. Other related programmes from The Hut Group include: Myprotein and more. myVitamins: 15% off £20, 10% off our best-sellers, and an extra 10% off our Bundles of joy! Welcome to the myvitamins.com affiliate newsletter, packed full of great offers. Fancy some samples? Or want an exclusive offer to secure some additional exposure? Then get in touch! Plus, be the first to send me an example of exposure and get a free gift! Did you know? myvitamins’ cut off time for same day despatch is now 8pm! Offer: 3 months’ supply of Total Raspberry Ketone for £19.99 RRP £53.99 - Save 63%!! Huge Weekend Offers at The Hut! Get the Look - £30, plus £10 off the rest of the site with code! Take advantage of our Get The Look offer - Get a pair of flip flops, a t-shirt and a pair of shorts all for £30 plus enter code GTL10 and save an additional £10 off the site (usual exclusions)! Myprotein.com: Free Blender, 20% off Premium Powders and are you a fan of Super Dophilus? Myprotein Payday Special - Free BCAA and CLA! With it being payday, we wanted to provide you with an opportunity to boost your commissions by providing two brilliant offers to promote alongside our most recent codes. We are currently offering free BCAA 90 or CLA 60 when you spend £10 or more. BCAA and CLA are regularly amongst out best sellers, so get promoting now and let’s finish the month on a high! If you require anything else please get in touch and we will do our utmost to facilitate your requests. The Hut.com: £3 off £30, 15% off and FREE gifts! Extra 15% off when you spend £15 on Clothing - Last chance! Save 25% Off Puma Luggage Featuring Reporter Bags, Backpacks and Flight Bags. With selected Jeans and Chinos from only £17.99. Free Flip Flops When you buy a pair of swim shorts for £11.99. PUMA Save up to 50% off hoodies, t-shirts, trainers and more. £5 off selected Games When you buy a pair of Flip Flops at the Hut. Save £25 off 3-Pack Polo’s when you buy a Converse watch for only £14.99 Now just £25.99 for 3 Polo Shirts and a Converse Watch! 2 for £25 Games – loads of huge titles now included! Other related programmes from The Hut Group include: TheHut.com IWOOT and more. Welcome to the Myprotein.com (IE) Newsletter – packed full of great offers and incentives to promote guaranteed lowest prices on behalf of Europe’s biggest online sports nutrition company. Offer: Free Blender with every order (customer to choose) Customer must add product to basket before entering code. Myprotein: 10% off IWP Summer flavours, 20% off top selling Aminos, and do you even cook bro? IWOOT Offers - including 10% off site! Please see below for the top offers from IWOOT this week – including a MASSIVE 10% off across site until August! Let me know if you would like any more information, or would like to get involved in any increased exposure. Fancy a bit of formula one? Extra 20% off track days. Something for the kids - Buy 2 save 10% on toys. Going Travelling? Spend £20 save 10% on travel bags and gadgets. iPads, laptops, consoles and electronics - FREE next day delivery. Discount will be taken automatically at the basket. 3 for £20 Mix and match gifts for him, her and the kids. Myprotein - Half price Beach Body Bundle, free gifts, and great spend and saves! The Hut.com - Fit for a King - 11% off site and more! Have you checked out this week’s Mega Monday on zavvi yet? 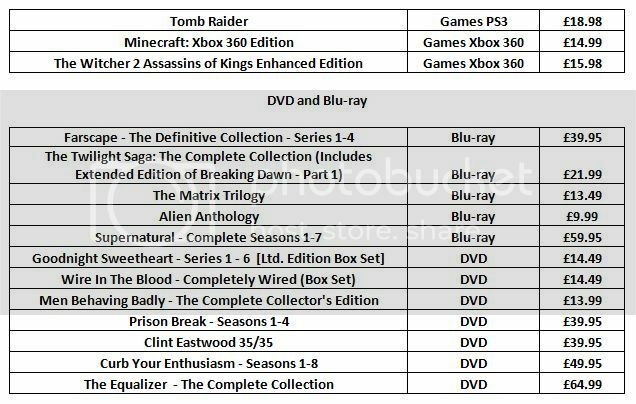 Some great price drops on some of the biggest and best entertainment titles out there. Plus, we’ve thrown in a few extra titles for you today too. Don’t say we don’t spoil you! Die Hard 2 – Zavvi Exclusive Steelbook Edition is now available to pre-order on site! Welcome to the probikekit.co.uk July newsletter packed full of great offers. Myprotein (IE) Newsletter: 10% off IWP Summer flavours, free Snack Attack Pack, and FREE mystery gift!